The demographics of the People's Republic of China are identified by a large population with a relatively small youth division, which was partially a result of China's one-child policy. China's population reached the billion mark in 1982. 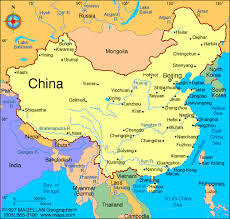 China's population is 1.404 billion, the largest of any country in the world. According to the 2010 census, 91.51% of the population was Han Chinese, and 8.49% were minorities. China's population growth rate is only 0.47%, ranking 159th in the world. China conducted its sixth national population census on 1 November 2010.Unless otherwise indicated, the statistics on this page pertain to mainland China only; see also Demographics of Hong Kong and Demographics of Macau. In 2011 a total of 252.78 million migrant workers (an increase of 4.4% compared to 2010) existed in China. Out of these, migrant workers who left their hometown and worked in other provinces accounted for 158.63 million (an increase of 3.4% compared to 2010) and migrant workers who worked within their home provinces reached 94.15 million (an increase of 5.9% compared to 2010). Estimations are that Chinese cities will face an influx of another 243 million migrants by 2025, taking the urban population up to nearly 1 billion people. This population of migrants would represent "almost 40 percent of the total urban population," a number which is almost three times the current level.While it is often difficult to collect accurate statistical data on migrant floating populations, the number of migrants is undoubtedly quite large. “In China’s largest cities, for instance, it is often quoted that at least one out of every five persons is a migrant.” China's government influences the pattern of urbanization through the Hukou permanent residence registration system, land-sale policies, infrastructure investment, and the incentives offered to local government officials. The other factors influencing migration of people from rural provincial areas to large cities are employment, education, business opportunities and higher standard of living.